Relief of back pain and Chiropractors: Do they go together? Most people visit their family doctor when they are sick and go to the dentist when they have a toothache. But when they have pain in certain areas of the body such as the back, there are physicians who specialize in treating these health issues. It is possible to treat back pain. And chiropractors can help alleviate the pain without the use of harmful medication. A chiropractor is a physician of chiropractic medicine. Although these physicians can treat various health issues, they specialize in treating back and neck pain. Chiropractic care is a unique branch of medicine in that treatment occurs without the use of drugs or medications. Chiropractors have the ability to treat patients successfully without medication. How? Because of the way these physicians approach their patient’s medical conditions. A traditional medical doctor will prescribe a medication for their patients. Then, he’ll instruct them to take the medicine whenever they feel pain. The doctor hopes that after the pain ends, the body will repair on its own. However, there are different side effects that are associated with medication. Furthermore, some patients can become addicted to the medication. The first thing that a chiropractor will do is determine what is causing your back pain. He will do this by arranging for you to undergo several x-rays. After the origin of the pain has been located, the chiropractor will begin using different painless techniques that will release any tension that is in your back. As the circulation begins to improve in the area of the back that was treated, the body begins to repair itself. You may have to visit the chiropractor several times before your back pain is completely gone. Are you are suffering with back pain and chiropractors provide the type of natural pain treatment that you are seeking? 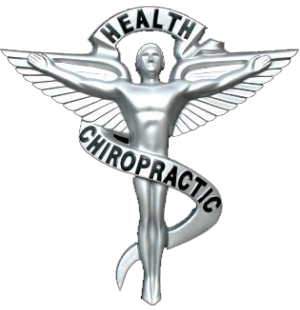 Then you should either go online or ask for referrals so you can find the best chiropractors in your area. After you have a list of at least four chiropractors, read reviews and patient feedback located on the chiropractor’s website or on review websites. Once you have met with each chiropractor, you will know the one to choose that will help you heal from your pain. Contact us to learn more about chiropractic care and scheduling to see a chiropractor today.